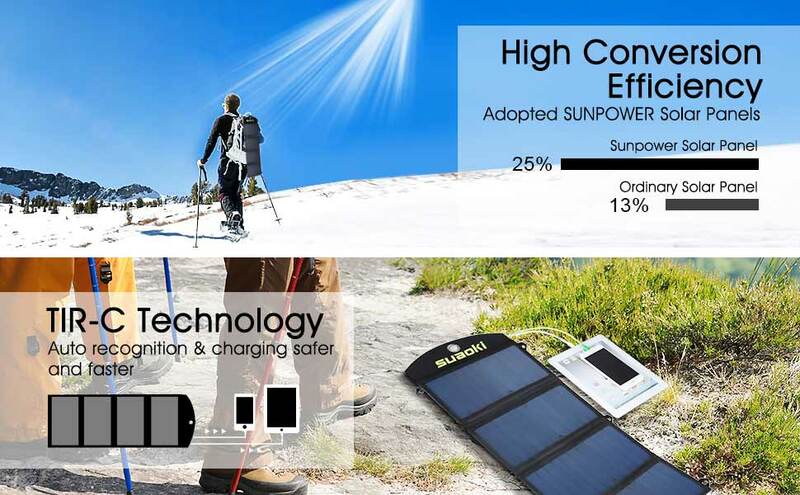 Tired of packing batteries which need charging in advance in your backpack every day? 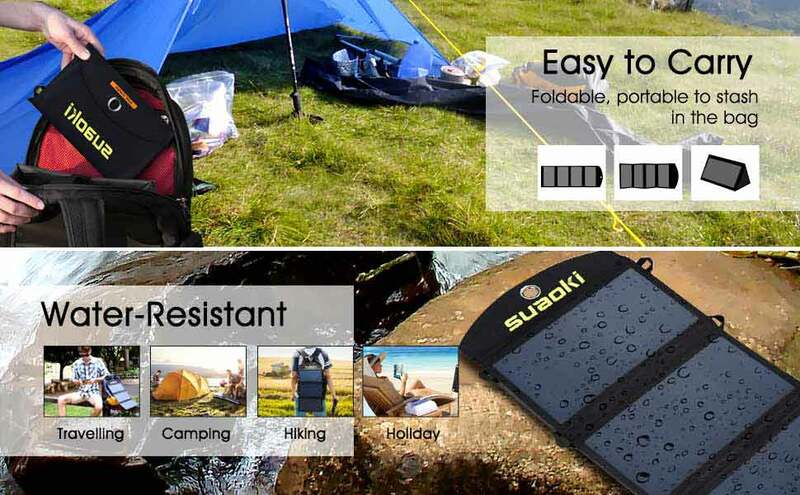 You could simply unfold a Suaoki solar panel and enjoy clean and unlimited power from direct sunlight. Up to 25% high conversion efficiency, it features the dual-port outputs with TIR-C technology, meaning you could charge your mobile device through the USB port more safer and faster without overloading or overheating the devices. Each panel is about the size of a regular piece of paper, making it perfect for traveling or outdoor activities, especially when it is folded up into its convenient -to-carry form. Plus, its mounting loops allow you to easily attach it to your backpack or any other location, and the PET-coated panels-bound together with heavy-duty polyester makes it water and weather proof during use near swimming pool or on the beach.